Two main miter gauges are included into our range. The right angle miter is made die-cast aluminum and the gauge fits any design with a basic 3/4" (width) x 3/8" (depth) dimension slot. 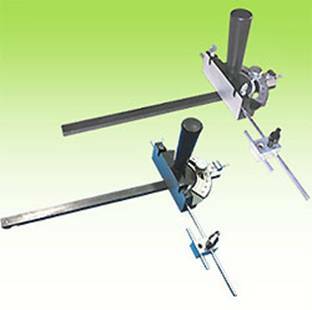 This double faced miter gauge ensures 90 degree miters, and makes the angle cutting simple and accurate. The other main gauge is quick lock one which can fits a standard miter slot, and has positive stops at 90 and 45 degrees, left and right. The D handle grip is both more comfortable and safer than the standard straight miter gauge handle, and there is a trigger to activate the clamp. the tight hold for accurate table top cuts stays tight. 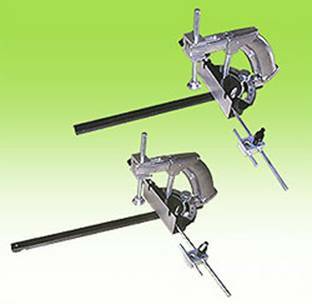 Adjustable stop rod limits your cut to its proper width. Fits 3/4" x 3/8" table slots.